If you’ve been looking for a way to welcome summer and freshen up your designs with even more colors, then this freebie will not disappoint you. 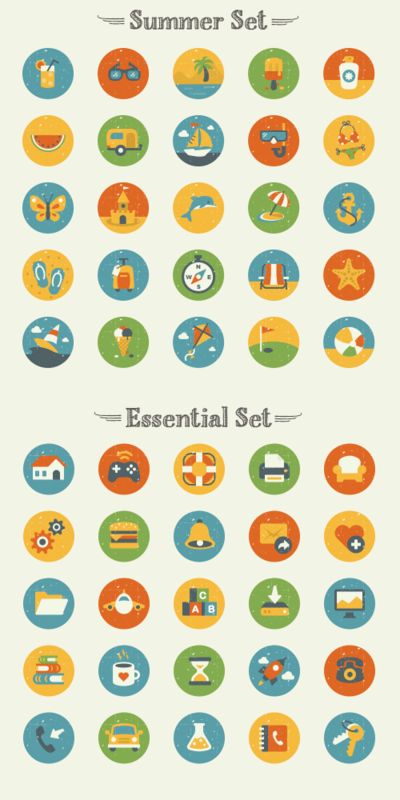 A quick preview of the “Summer” and “Essentials” icon set. "I've always worked with 'quality, not quantity' approach to design. Ever since I created my first icon set back in 2007, the detail and the balance of an icon have been the two 'ingredients' I've always paid close attention to. 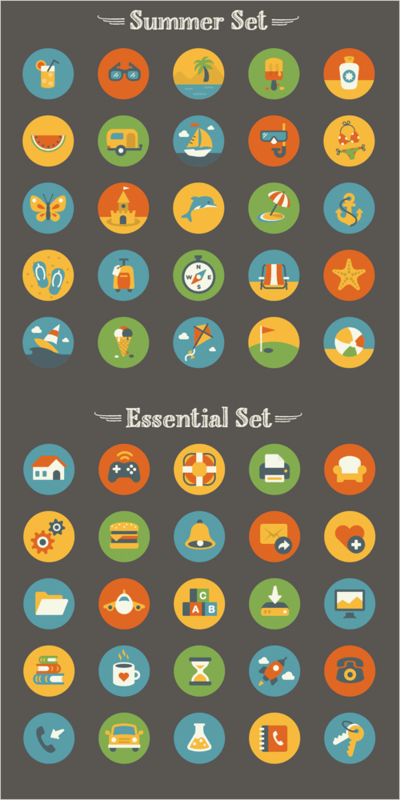 It took me almost 2 years to finally bring to life the concept of the Vintage Flat Icons bundle that I'd come up with, but I feel like it was worth every second. You may modify the size, color or shape of the icons, and use the icons in your commercial as well as your personal projects. No attribution is required, however, reselling of bundles or individual pictograms is not allowed. Thank you, dear Elena Genova for these brilliant colorful icons! We sincerely appreciate your time and effort!